"The only things these men were guilty of was protecting you and me, wanting to get something to eat and wanting to do their jobs," Gilchrist County Sheriff Robert D. Schultz said. TRENTON, Fla. - Two Gilchrist County Sheriff's Office deputies "gave their lives so we can all be safe." Sgt. 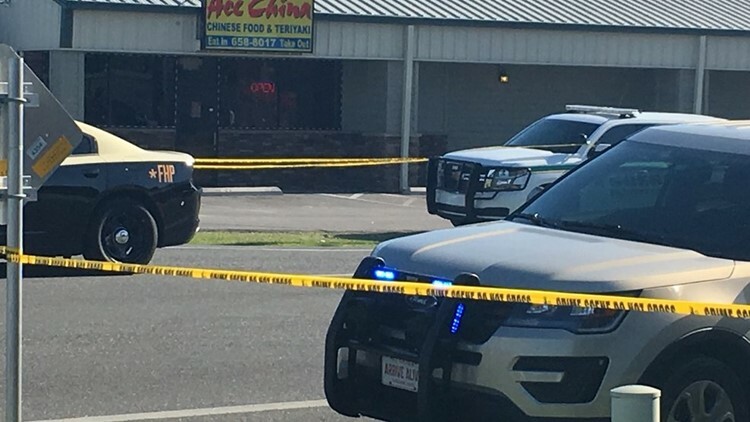 Noel Ramirez, 30, a seven-year veteran, and Deputy Taylor Lindsey, 25, a three-year veteran, were eating inside the Ace China Restaurant off State Road 26 when a man walked to the window from outside and shot them at about 3 p.m. Both deputies were pronounced dead at the scene. "For anyone that can hear me...Sgt. Ramirez and Deputy Lindsey were the best of the best," Gilchrist County Sheriff Robert D. Schultz said during an evening press conference across from the restaurant. "They're men of integrity. They're men of loyalty. They're God-fearing and they loved what they did and we're very proud of them." Schultz described the suspect, John Hubert Highnote, 59, of Bell, as a "coward." No further information about Highnote was released. "Both our heroes had simply sat down to eat while on duty, the department said on its Facebook page. "There was no crime in progress, no disturbance. The suspect appears to have walked to the front of the business and shot both men without warning. Two holes in the window are visible tonight." Highnote was found dead outside the building. "At this point, it remains an active criminal investigation with no apparent motive or indications as to why this tragedy occurred," the department said. Schultz, who knew both men personally, described receiving the call that his friends were killed as "surreal." "Whether you're a small agency or a large agency, it hits you like a ton of bricks," he said. Ramirez, who leaves behind a wife and two young children, had an infectious smile, Schultz said. He served with the Williston Police Department and the Levy County Sheriff’s Office before joining the Gilchrist County Sheriff’s Office in 2016. Lindsay, who joined the sheriff's office in 2013, was to be a part of a bench press team that would compete at the First Responders Olympics. "They don't need to be remembered for their untimely death, but for the type of people they were, and that's good individuals, good deputy sheriffs," Schultz said. One of the last questions Schultz answered was regarding what he told his deputies following the shootings. "We get demonized for a bunch of reasons," he said. "Religion, separation of church and state, I said a prayer with my men and women. And I told them exactly what I told ya'll. We're going to honor them by doing our jobs. We're going to do our jobs because that's what we do. That's what deputy sheriffs do everyday." Gov. Rick Scott said he has "committed all available state resources" to the Gilchrist County Sheriff's Office. The Florida Department of Law Enforcement, Alachua County Sheriff's Office and the Levy County Sheriff's Office are assisting with the investigation. We are absolutely horrified to hear the news that two Gilchrist County deputies were killed in the line of duty today. We are ready to send resources there and assist however needed - Sheriff Schultz, the GCSO, and the deputies' families are in our prayers.